Growing up, buttermilk was the weird, thick milk beloved by my dad whom would trick me into taking drinks. Despite my father’s love for it, it’s something I would never normally keep in my fridge—until now. Too often, a recipe has required buttermilk and (unfortunately) a stick of butter in a glass of milk does not make a suitable substitute. Buttermilk comes in two forms—traditional and cultured. 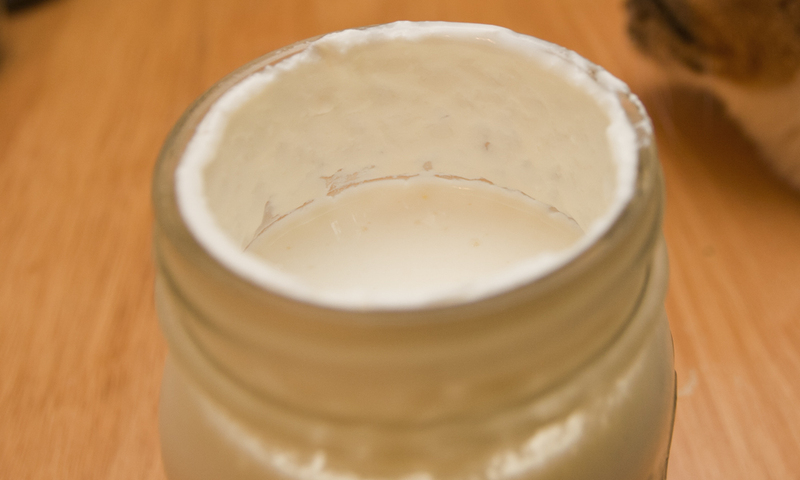 Traditional buttermilk is the liquid left after butter making and can be very pricey. 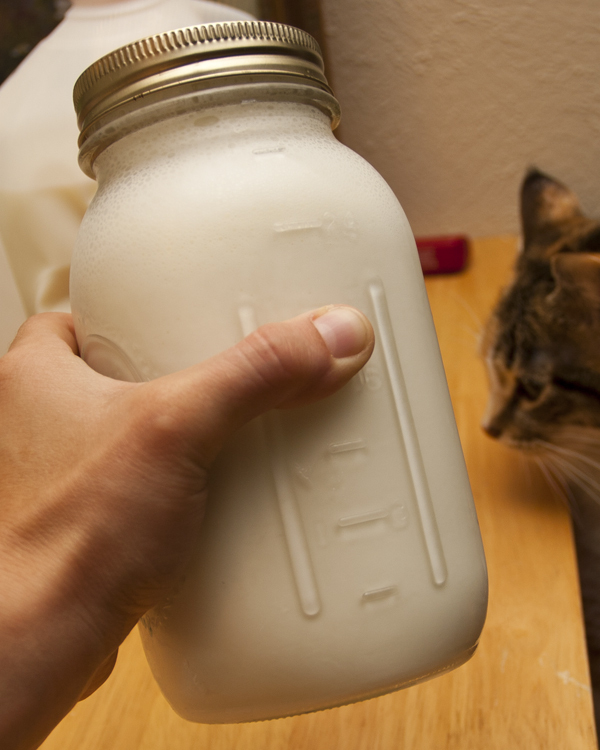 Luckily, cultured buttermilk is incredibly cheap and simple to make. 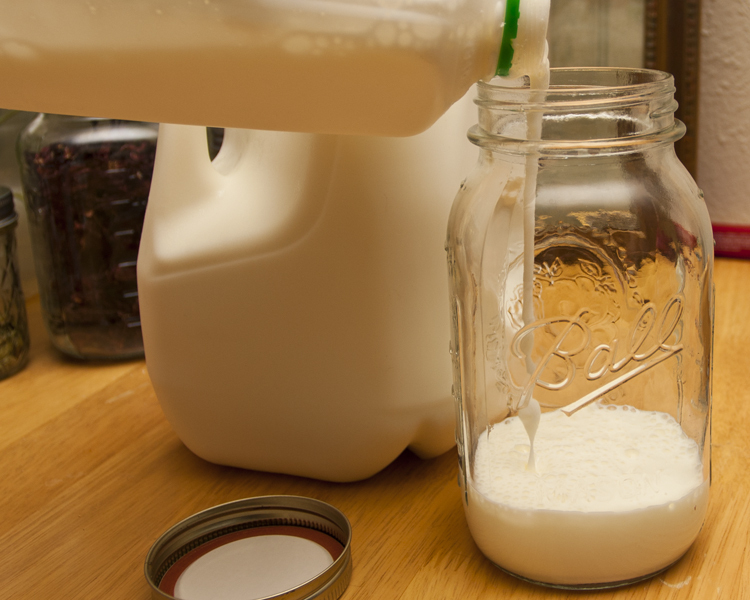 Pour some buttermilk into an empty jar—I’m never specific with measurements, but a 1:3 ratio is safe to follow. I like to use mason jars because the lid won’t “pop” when pressed if the mixture is culturing correctly. 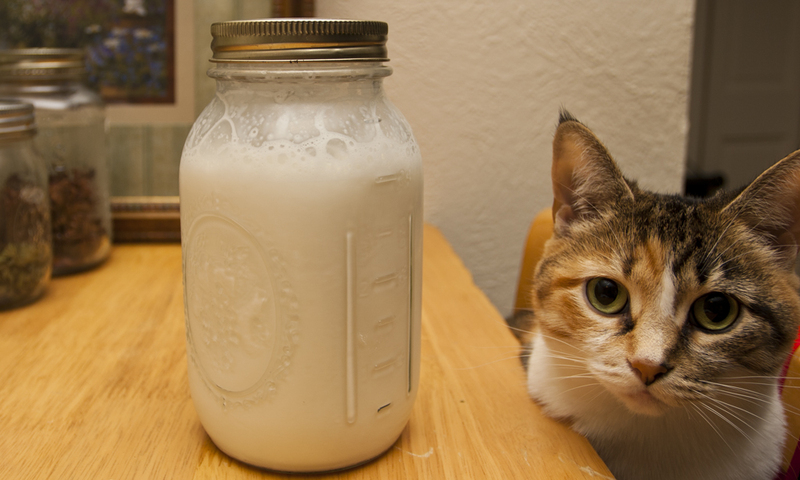 Fill the rest of the jar up with milk. 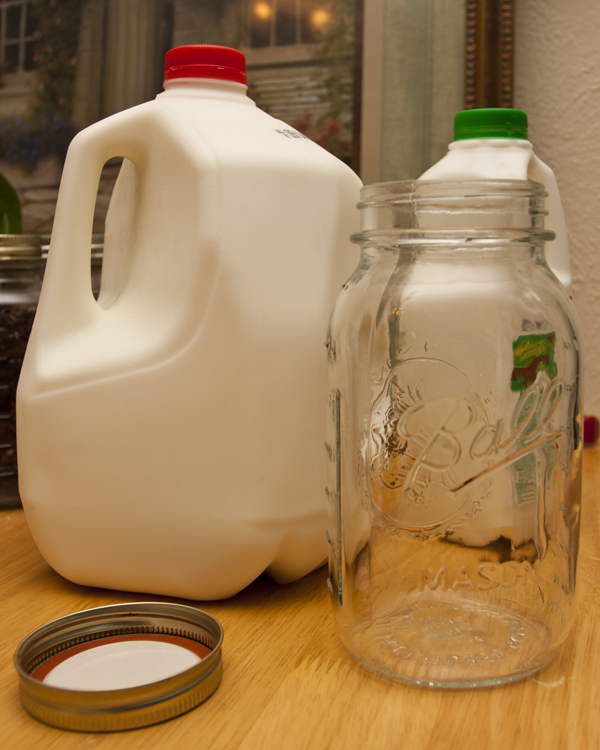 Put the lid on the jar and shake to evenly distribute the buttermilk bacteria throughout the milk. Let the mixture sit on the counter for approximately 24 hours. After a day, the mixture will be cultured and should stick to the side of the jar. Take a whiff, it should smell slightly sour. Cultured buttermilk sticks to the side of the jar. Make some up ahead of time and keep it in the refrigerator for the next time you have a hankerin’ for some fried chicken or buttermilk pancakes. Interested in making traditional buttermilk? Try reading Alli Cobra’s Butter-making for the Adventurous. I also have kinda wondered/assumed that the liquid leftover from butter making would (at the least) be similar to skim milk. I’d be curious to learn more about the olden preservation processes…especially if it would end up to something similar to yogurt. Definitely is piquing my interest! These are some very interesting points brought up…will definitely be keeping it in mind. Thanks for bringing this up! Yay, the batch of buttermilk turned out well! P.S. : Hope the cat food works out this time around. Lol. 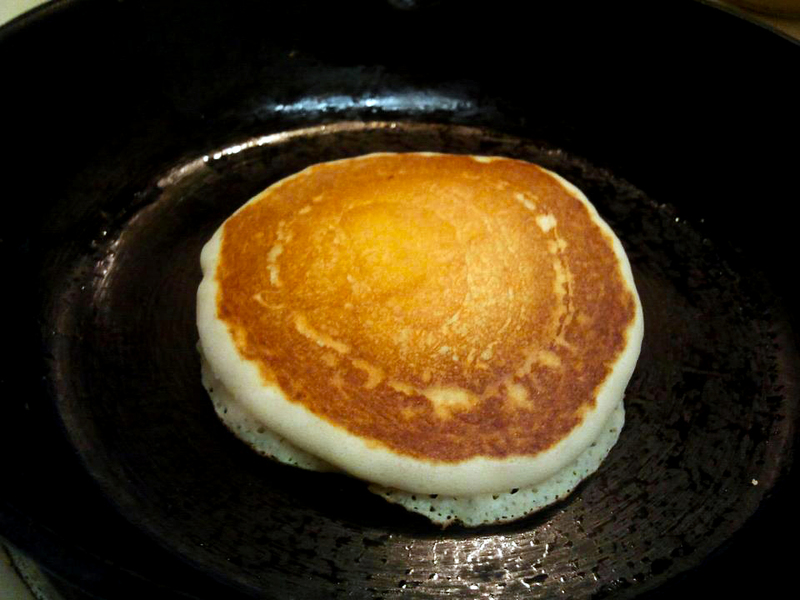 I just started a new batch…I have this fear of running out after making more pancakes…yay for eating on a budget. I’m also really hoping the cat food works out this time. This one is less than 1/4 of the cost of what I’ve previously tried, so it’d be great if it did work out.